Happy Gram - Let's Retreat! From our friends in New Zealand, The Quilted Crow, comes Hexagons For Harriet. This scrappy cotton pieced top features lovely wool appliques. This quilt finishes 54"x72" and runs for 10 months. You know we love to go on quilt retreats at Happines Is ... Quilting! Remember, Laura Kay even went on a quilt cruise Down Under! Well, we're combining all our retreat experience knowledge and hosting our own at Greenbriar Retreat Center this December. Think of it as a way to get all your Christmas projects finished. The retreat begins Thursday, Dec. 12, but you have the option of arriving on Friday, Dec. 13. The $200 pays for Friday, Saturday and half-day Sunday (sign up here for Friday-Sunday). To begin your retreat on Thursday, you must also sign up for the additional day here, which is another $100. We have 10 spots remaining. We're so excited and can hardly wait to retreat with you! We're Going To Be At Festival! We're staying for the fun this year at Quilt Festival in Houston! Our booth is going to be busting at the seams with kits and patterns from our amazingly talented friends from Down Under. 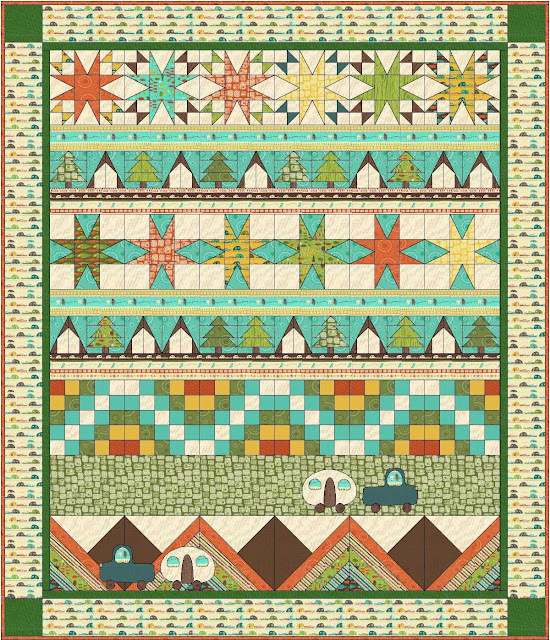 Stop by booth 748 on October 30 - November 3 to see Sue Daley of Patchwork With Busyfingers, Deirdre Bond-Abel and Leonie Bateman of The Quilted Crow, and your favorite quilt shop staff. See you there. Janet has two introduction classes focused on handwork this week. 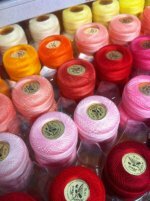 Join her for Intro to Silk Ribbon on Wednesday, Oct. 23, from 10 a.m. - 1 p.m. You'll learn the basic stitches of ribbon embroidery that will allow you to begin embellishing a number of different projects. Intro to Hand Embroidery will teach you the basics of hand embroidery including how to transfer your design onto the fabric. Register for both or either class by clicking on the class name. Ready To Bind Those Quilts? You do not want to miss out on taking this class from M.J. You'll learn how to sew show quality binding including straight, bias, 2 color bindings and much more. M.J. will take away all your excuses for not fininshing a quilt because of her tips and tricks to sewing binding. Sign up now.